Click on Scripture for more resources. Roman Catholic Lectionary Rehttp://www.usccb.org/bible/readings/040917.cfmadings (NCCB/USCC) from the New American Bible. Passion Sunday, Passion of Christ, Commemoration of the, Passion of Jesus Christ, Passion of Jesus Christ in the Four Gospels from the Catholic Encyclopedia. Preaching This Week at WorkingPreacher.org, Luther Seminary, 2017.2011. 2008. Commentaries, A Plain Account, 2017. Evangelectionary, Bruce Laverman, Evangelism Connections, 2014. "Palm/Passion Sunday," SAMUEL, Kathryn Matthews Huey, Sermon Seeds, UCC, 2014. Girardian Reflections on the Lectionary, Palm/Passion Sunday, by Paul Nuechterlein & Friends. Preaching Helps (Palm/Passion Sunday). Rev. Dawn Chesser, United Methodist Church General Board of Discipleship, 2014. Jesus Now, Palm/Passion Sunday. Lectionary, study and worship resources from Faith Futures Jesus Then & Now. The Lectionary Lab, Palm/Passion Sunday, the Rev'ds Dr. John Fairless and Delmer Chilton (aka "Two Bubbas and a Bible"), 2011. "A Personal Palm/Passion Sunday," Karoline Lewis, Dear Working Preacher, 2017. "The Suffering of Jesus," Melissa Bane Sevier, Contempltative Viewfinder, 2017. "Triumph and Defeat," Nancy Rockwell, The Bite in the Apple, 2017. Taking Worship Home, Breen Sipes, Tri-Saints Lutheran Parish, 2017.Tuesday Lectionary Leanings, Palms and Passion Edition, RevGalBlogPals lectionary discussion, 2014. "Happy Holy Week, Palm Sunday or Passion Sunday," guest essay by Sara Miles, Dan Clendenin, Journey with Jesus, 2014. Question of the Day, Working Preacher, David Lose, 2014. The Preacher's Study, D. Jay Koyle, The Associated Parishes for Liturgy and Mission, 2014. "The Passion Play," David F. Sellery, 2014. The Moonshine Jesus Show, lectionary-cast by David Henson and Mark Sandlin, 2014. "Like a Broken Vessel," Sharron R. Blezard, Stewardship of Life, 2014. 2011. "Divine Sacrifice," Thomas Beam, 2014. "The Walking Dead and the Walking Saints," Ragan Sutterfield, Ekklesia Project, 2014. "Sestina for the Passion of Christ," Andrew King, A Poetic Kind of Place, 2014. "What Sort of Passion?" John C. Holbert, Opening the Old Testament, 2014. Liberal Lectionary Resources, Chris Ayers, 2014. The Painted Prayerbook, Palm Sunday: The Way It Makes, Jan Richardson, 2011. Use of images. "To Be Continued..." David Lose, WorkingPreacher, 2011. The Saturday Night Theologian, Exegesis of Word and World, Tod O.L. Mundo, Progressive Theology Weblog, 2011. "Stop Pretending,"guest essay by Sara Miles The Journey with Jesus: Notes to Myself, Daniel B. Clendenin, Journey with Jesus Foundation, 2011. Grounded and Rooted in Love, Passion/Palm Sunday, Matt & Laura Norvell, 2011. 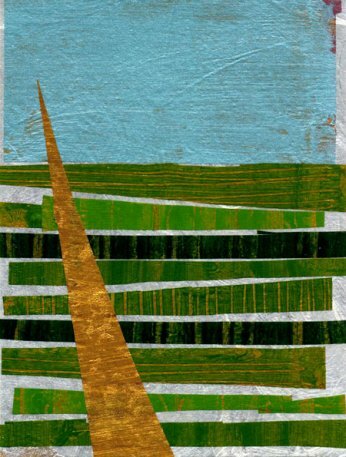 "The Way Down," Brian Volck, The Ekklesia Project, 2011. "After the Parade," Sharon R. Lucas, Stewardship of Life, 2011. Reflections on Isaiah 50:4-9, John C. Holbert, Patheos, 2011. "The Parallel Universe of the Passion of Jesus," The Journey with Jesus: Notes to Myself, Daniel B. Clendenin, Journey with Jesus Foundation, 2008. "Feeling the Flesh around Us," Grant Gallup, Proclaiming Gospel Justice: Reflections on the Scriptures and Progressive Spirituality, The Witness, 2005. "Seeking Passion and Compassion During a Holy Lent," Johncy Itty, Proclaiming Gospel Justice: Reflections on the Scriptures and Progressive Spirituality, The Witness, 2005. "The Cross and Empire," Michael Hopkins, Proclaiming Gospel Justice: Reflections on the Scriptures and Progressive Spirituality, The Witness, 2005. "The Bottom Billions: Terror on Every Side," The Journey with Jesus: Notes to Myself, Daniel B. Clendenin, Journey with Jesus Foundation, 2005. Environmental Reflections - Liturgy of the Passion, from the Episcopal Diocese of Minnesota's Environmental Stewardship Commission. "The Judas Chromosome," Craig Barnes, 2002. "The Obedient Son," Susan Pendleton Jones, 1999. "Praying in the Abyss," Walter Brueggemann, "Going Public with God's Good News," 2011. "Street Theater," Laurel A. Dykstra, "Word on the Street," 2008. "Judas," Frederick Buechner Sermon Illustrations. "Walk through Holy Week with Jesus," the Rev. Whitney Rice, Sermons that Work, Episcopal Digital Network, 2014. Domingo de PasiÃ³n / Domingo de Ramos (A) – 2014 POR EL. RVDO. ANTONIO BRITO, Sermones que Iluminan. Palm/Passion Sermons, Pastor Edward F. Markquart, Grace Lutheran Church, Seattle, Washington - Sermons from Seattle. Father Andrew M. Greeley, "Priest, Author, Sociologist," Commentary and Homily, Palm Sunday, 2005. "Palm Passion Sunday" Weekly Seeds, UCC, 2014. Bible Study, Palm/Passion Sunday, 2014, Lesley Mazzotta, Sermons that Work, Episcopal Digital Network. Estudio de la Biblia. Domingo de Ramos (A) por Lesley Mazzotta, Sermones que Iluminan, 2014. Worship Planning Helps (Palm/Passion Sunday): Worship & Preaching Notes, Hymn Suggestions and Worship Resources from the United Methodist Church General Board of Discipleship. Dear Working Preacher, David Lose, 2014. Lectionary Liturgies, Passion/Palm Sunday A, Thom M. Shuman, Presbyterian Church (U.S.A.), 2011. Worship resources for Liturgy of the Passion by Beverly S. Bailey from SermonSuite. Life in Liturgy, David Chafin,Christian Church (Disciples of Christ) in West Virginia, 2014. LCA Worship Planning Page, 2014. "Everything lay-readers need to prepare worship." Worship Resources, Palms/Passion, 2011 Mindi Welton-Mitchell, Rev-o-lution. Liturgy for the Celebration of Life, Palm Sunday, 2011. Liturgies from a Progressive/Post-Liberal Theology, Revd Rex A.E. Hunt, Uniting Church in Australia. Liturgy for Palm/Passion Sunday, Rev. Thomas L. Weitzel, Evangelical Lutheran Church in America. Palm/Passion Sunday worship, procession, Eucharist. Lisa Frenz. Scroll down to Holy Week index. Worship and Liturgy Resources, Lent 6, by Rev David Beswick, Uniting Church in Australia. Laughing Bird Liturgical Resources, Lent 6, by Nathan Nettleton, South Yarra Community Baptist Church, Melbourne, Australia. Prayers, blessings, Eucharistic prefaces and scripture paraphrases. Paraphrase of Matthew's Passion Narrative, Nathan Nettleton. Lector's Notes, Passion Sunday, Gregory Warnusz, Saint Jerome Parish, Bellefontaine Neighbors, MO. Notes and commentary for those reading this week's lectionary texts to the congregation. Liturgical Planning and Music Suggestions, Palm Sunday, CanticaNova Publications. Call to Contemplation for beginning the Passion Sunday part of a Palm/Passion Sunday liturgy. David Ourisman. 21st Century Worship Resources, Palm/Passion Sunday, UMCDiscipleship.org. Offertory Prayers, Palm/Passion Sunday, UMCDiscipleship.org. The Timeless Psalms: Psalm 31:9-15, Joan Stott, prayers and meditations based on lectionary Psalms, 2014. HermanoLeón Clipart, Palm/Passion Sunday. Free clipart, backgrounds, slides, etc. Clip Art, Palm Sunday, Fr. Richard Lonsdale, Resources for Catholic Educators. 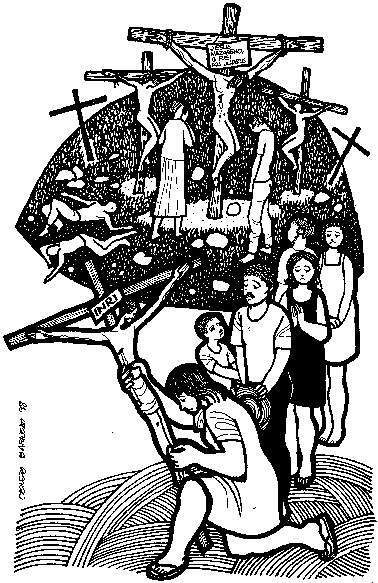 Passion Sunday/Good Friday at Cerezo Barredo's weekly gospel illustration. Follows Latin American Roman Catholic gospel reading, though most gospels texts/themes are found in the index. Liberation emphasis. Listening at the Cross: The Seven Last Words of Christ, Jan Richardson, 2011. Salt Project's video honors the 75th Anniversary of Billie Holiday's "Strange Fruit." "Finger Pointer or Your Hand," video, John Stevens, Dollar Store Children's Sermons, 2014. "As Jesus Faced the Council," Text: Carolyn Winfrey Gillette. This hymn is based on Jesus being charged by the Council with his claiming to be the Messiah and Peter's denial of having known him. Tune: ST. CHRISTOPHER 7.6.8.6.8.6.8.6 ("Beneath the Cross of Jesus"). Hymn for Passion/Palm Sunday, David M. Miller, 2010. Tune: Finlandia. “Father, Forgive Them” Text: Carolyn Winfrey Gillette Tune:Â ADELAIDE (“Have Thine Own Way, Lord”) and HAMBURG (“When I Survey the Wondrous Cross”) A hymn inspired by Jesus' Seven Last Words from the Cross. "The Time Is Near," TEXT: Mark Ryman (2005) based on Matthew 26:14 - 27:66. TUNE: "St. Agnes." New Hymns for the Lectionary. "I Believe," original hymn by Carolyn Winfrey Gillette. Tune: AUSTRIAN HYMN 8.7.8.7D "Glorious Things of Thee Are Spoken"
Hymns of the Spirit Three, Passion A, Richard E. Hurst, Universalist National Memorial Church. Lectionary Hymns, Palm/Passion Sunday, UMCDiscipleship.org. Shepherd Sounds,Palm/Passion Sunday, Background information for hymns and choral music following the lectionary from the Episcopal Church of the Good Shepherd, Austin, Texas, by Eric Mellenbruch and David Zersen. Together to Celebrate, Passion Sunday, 2014, David MacGregor, Uniting Church in Australia. Contemporary Christian Music resources. Lectionary Puzzles, Liturgy of the Passion. Word search puzzles in RTF or plain text, by Reg McMillan, St.Stephen's Presbyterian Church, Peterborough, Ontario. Worshiping with Children, Palm/Passion Sunday, Including children in the congregation's worship, using the Revised Common Lectionary, Carolyn C. Brown, 2014. Holy Week Passports. 2011. Activities for church or home, Fay Rowland, 2017. "They Are Holy," Fran Woodruff, On The Chancel Steps, 2014. Reuben, The Rooster With A Reminder -- Children's sermon by Wesley T. Runk based on Matthew 26:14--27:66 from SermonSuite.